A plan can do wonders for your peace of mind. You feel much calmer when you know exactly what is going to happen at work that day, or you get excited when you have a plan for the weekend. 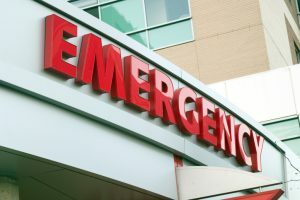 A plan is absolutely essential for dealing with a dental emergency. The last thing you want to do is have to get on a computer and type “dentist near me” while you’re in pain. Here are 3 things you should look for when choosing your emergency dentist in 77077. When you’re in the middle of a dental emergency, time is of the essence. You want to choose a practice that is close to you and easy to find so you can get there as quickly as possible. Saving time is also an important part of saving your teeth, so the faster you get care, the better. Dr. Gray’s and Dr. Newman’s office is located right off of Eldridge Parkway, right between the Houston Barbecue Company and the Staybridge Suites. We’re centrally located and right next to the street, so you’ll be able to spot us every time. The last thing you’ll need to worry about is finding us. Emergency dentistry is its own discipline. Not all general dentist are equipped to deal with a patient that is in extreme pain because of a knocked out or broken tooth. It takes an extra level of calm and confidence to negotiate these situations and provide patients with the care they need in a timely and effective way. Dr. Gray has been in practice since 1983 and has pretty much seen it all. There is no situation he hasn’t already handled, so you can be assured that no matter what your emergency is, his extensive experience and knowledge will help you get what you need. The first thing you should do in a dental emergency is call our office. In fact, you should put our number in your phone right now so you have one less thing to do during an emergency. When you make that call, you want to know that you are talking to someone who will be able to tell you exactly what you need to do. Melody, our hygiene coordinator, is just the type of person you want on the other end of the line. Not only does she have years of experience working at the front desk of a dental practice, she is also a Registered Dental Assistant. She’ll be able to instruct you on how to relieve your discomfort with an acumen you simply won’t find at other practices. She is also tri-lingual, speaking English, Spanish, and Italian. She’ll be the first person you talk to in a dental emergency, and she’ll immediately let you know that you’re in good hands. Dr. Gray, Dr. Newman, and their team are ready to be there for you during one of your most stressful moments. They have the tools and the training to give you exactly what you need, and will make sure your discomfort is taken care of as soon as possible. Whenever you find yourself in the middle of a dental emergency, we will always try to see you as soon as possible. If we can’t, our instructive voicemail system will let you know where to seek help. If you have any questions about what to do in a dental emergency, please give us a call today.